Question of the Week – What is market risk? We continue our series on investment risk today by looking at market risk. Read more about Question of the Week – What is market risk? Question of the Week – What is risk tolerance? Read more about Question of the Week – What is risk tolerance? Read more about Question of the Week – What are asset classes? Question of the Week – What is diversification? In last week’s blog post we mentioned diversification. We briefly explained what it meant, but a few readers asked for a more in depth look at what diversification is and why it is important for all investors to practice. Read more about Question of the Week – What is diversification? Question of the Week – What is time horizon? Time horizon is the length of time you expect to hold on to an investment before selling it. Time horizon can help an investor determine how much risk to take when investing and what types of investments may be suitable for them and their investment goals. Read more about Question of the Week – What is time horizon? Question of the Week – Leveraged investment strategy or Double Jeopardy? Okay, we are not talking about the TV show or Alex Trebek. Read more about Question of the Week – Leveraged investment strategy or Double Jeopardy? Nova Scotia Securities Commission Student Connections Program Winter Relaunch! A new year means a new semester. New classes. New students. New teachers. And with that comes new opportunities. 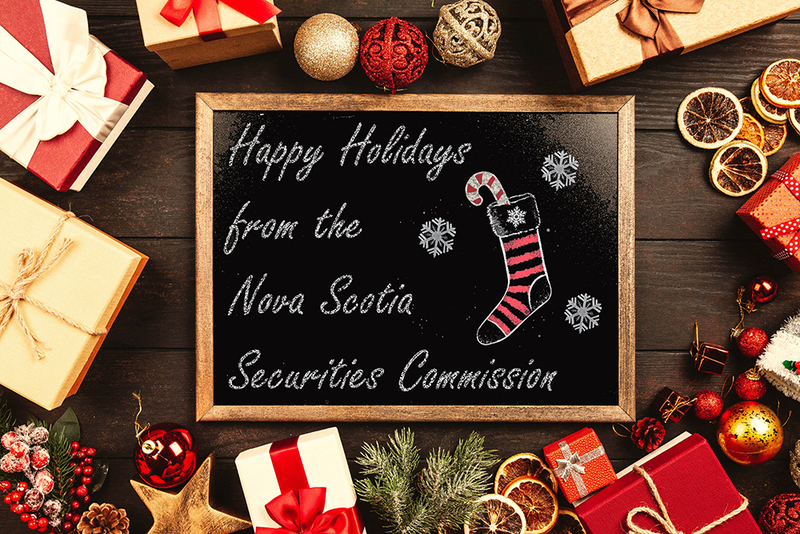 Read more about Nova Scotia Securities Commission Student Connections Program Winter Relaunch! Question of the Week – What is the difference between RRSP, and TFSA investment accounts? Tax season is coming which means for many investors it’s also RRSP season. Last year at this time we wrote a post on “Are RRSPs Securities.” This post went over the basics of RRSP accounts and how they worked. Read more about Question of the Week – What is the difference between RRSP, and TFSA investment accounts? We're taking a break from our Before You Invest Blog for the holidays, but don't worry, we'll be back with more investment information in 2019! Read more about Happy Holidays everyone! Question of the Week – What is a stock dilution? Stock dilution decreases existing shareholders ownership in a company due to the company issuing new shares. Dilution can also occur when the holders of stock options decide to exercise their options. Read more about Question of the Week – What is a stock dilution?